Mississauga’s three cenotaphs commemorate the lives of soldiers who sacrificed their lives for the freedoms we enjoy today. To learn more about these brave individuals, visit our War Heroes webpage. The Malton Cenotaph was unveiled on November 4, 1978, and is located adjacent to Paul Coffey Park. The Malton Legion was a driving force behind the cenotaph. It was built to honour the war dead of Malton and the surrounding regions. 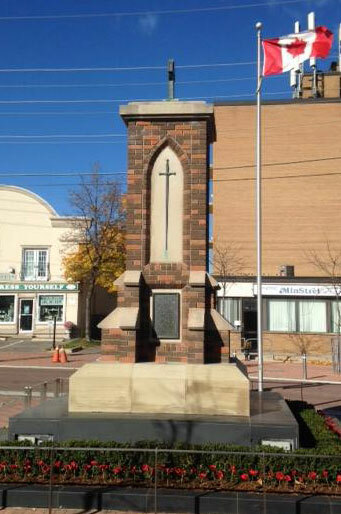 Mississauga’s oldest cenotaph was unveiled on November 9, 1925. 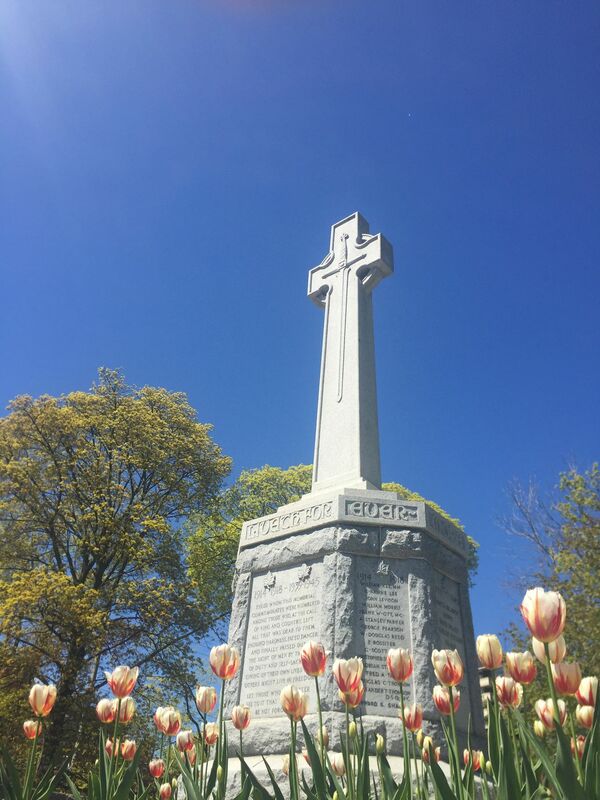 The monument was built to honour the men who answered the call to serve in World War I.
Twenty-one years later the names of residents who served in World War II were added. A further inscription was made in 1983 on the 30th anniversary of the Korean War. Inspired by a group of local veterans, the 17-foot-high cenotaph has been the centre of many gatherings and ceremonies since its installation. 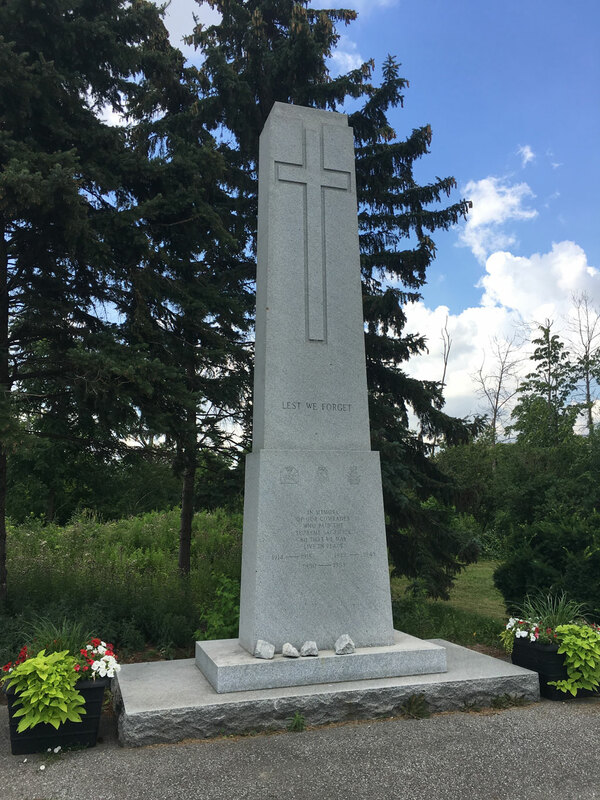 The Streetsville Cenotaph was unveiled on July 1, 1926, at the centre of the Village of Streetsville to honour those who had served in World War I and later those who served in World War II and the Korean War.